Previously Paul worked as a property developer and Ceri is a primary school teacher. Paul has many strings to his bow and also has a Masters in Geology, a Postgraduate Certificate in Education (PGCE) and Early Years Teacher Status (EYTS). 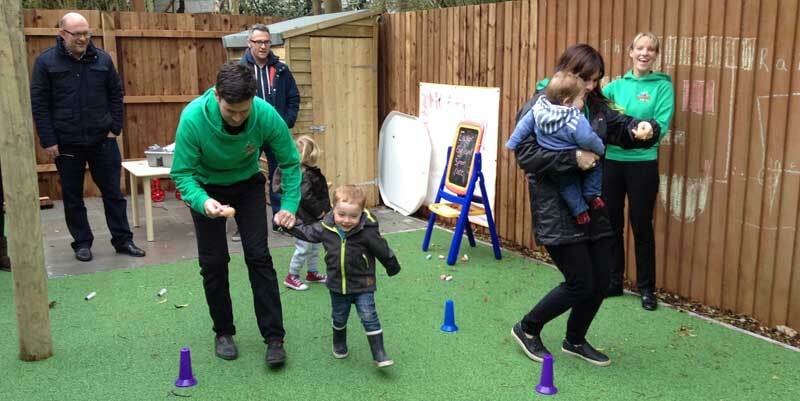 After having our first child, Monty, we looked to enrol him in a local nursery but we were both surprised and disappointed to discover that there were not many local options and most were full to bursting! We had to travel some distance to a nursery that suited our requirements and many of our friends and neighbours in Bramhall were in a similar situation. We came across the property on Hartington Road and realised it had the potential to make a superb nursery, providing a much needed service, supporting local businesses and offering local employment opportunities. The Railway Nursery journey began and has been eventful, rewarding and extremely exciting! Our sons, Monty and Bertie have enjoyed road-testing the nursery with their friends and look forward to sharing the fun with you. Our nursery is our passion and we look forward to the years ahead!